Despite all of the recent advances in B2B marketing, Forrester Research states that nearly 2/3 of B2B marketers identify engaging key decision makers as their top challenge. Why do we struggle to engage key decision makers and convert them into qualified leads? Because most marketing organizations are struggling to balance the ever-increasing activities that make up modern B2B marketing with limited resources. According to a recent survey by the B2B Technology Marketing Community the majority of B2B marketers say that their greatest barriers to lead generation success are the lack of resources in staffing, budgeting, or time. So, how do you successfully generate qualified leads with the lean staff, budget, and time available to you? By improving the efficiency and effectiveness of your content marketing through coordination and integration of your team’s individual efforts. According to Demand Metric, content marketing generates 3 times as many leads as traditional outbound marketing, but costs 62% less. Unfortunately, only 51% of marketers tell Forrester that their content marketing efforts are only somewhat effective. That means the majority of us are not reaping the rewards of our content marketing efforts. 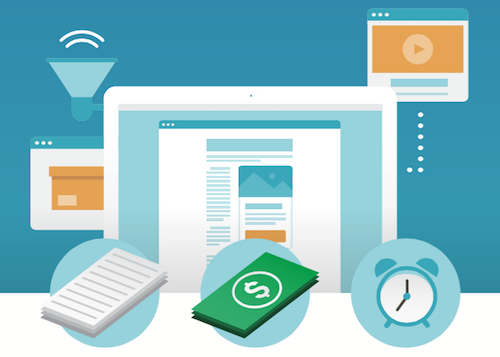 You can generate more qualified leads with the lean staff, budget, and time available to you by focusing on making your content marketing process more efficient and effective. This is done by employing the old “do more with less” strategy. Typically, when a B2B marketing organization wants to improve the effectiveness of its content marketing, consultants are hired to help implement buyer journey maps, personas, and sophisticated content calendars. Unfortunately, this requires investing more money, time and staff. While these strategies do have value, they often introduce deep complexity and heavy planning that ends up paralyzing the team and slowing progress rather than helping it. I’ve witnessed this phenomenon first-hand. Marketing organizations waste months learning sophisticated strategies that remain unused since ultimately, companies are challenged by creating the necessary content or integrating critical steps into their everyday process. On the other hand, I’ve witnessed successful companies take a lean, iterative approach to improving the efficiency and effectiveness of their content marketing. To emulate this approach to success, your company can begin by targeting your low hanging fruit– the tactics that will immediately produce more qualified leads with the least investment of resources and planning. Most B2B marketing organizations can immediately produce more qualified leads by coordinating and integrating their content marketing efforts. According to Gartner Research, lead management campaigns that integrate 4 or more digital channels will outperform single- or dual-channel campaigns by 300%. 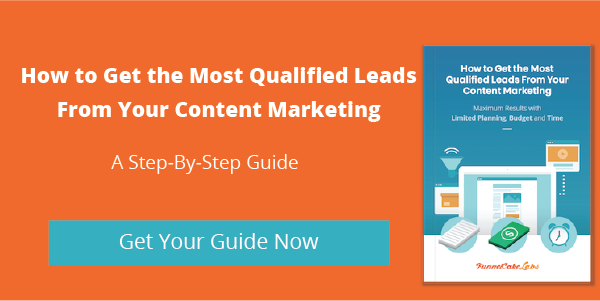 You can significantly increase your number of qualified leads by integrating your major content, blogs, social media, lead nurturing, case studies, and sales campaigns. You may be thinking that this sounds relatively complicated or as if it may take a lot of resources and planning. Well, this is where the efficiency comes in. Most B2B companies are already working on all of these things: major content, blogs, social, lead nurturing, case studies, and sales campaigns. Unfortunately, they are often not coordinated in unison nor are they integrated. Instead, each effort is often managed individually creating inefficiency and wasting resources. Now, improving the structure may still sound like it takes a lot of planning, but let me assure you that with a tiny bit of lightweight planning you can make an immediate impact. For example, let’s say that next month your company has a big software release with major enhancements to your product’s reporting and analytics. The CEO wants to really promote this new functionality. Product marketing is crafting product announcements, sales education, and working on a case study with a beta user. Meanwhile, the marketing campaign team is planning the promotion of an unrelated webinar. Your content team is working on a white paper they have been discussing for a while that is also unrelated while trying to get some of your internal thought leaders to write blogs about anything that they are willing to write about. The social media manager is doing her routine tasks without much focus on the upcoming release. Now, imagine that your team coordinates via a monthly theme. Next month’s theme is reporting and analytics to coincide with the big software release. Your content team is creating a guide on how to foster a culture of data-based decision making that will be ghostwritten by your team under a well known industry expert. The guide doesn’t talk about your product, but it does strongly align with the benefits of the new reporting and analytics features. Your team also broke up the guide into a series of eight blogs that will be under the authorship of the well known industry expert. The marketing campaign team is planning the promotion of a webinar that is on the same topic as the guide: how to foster a culture of data-based decision making. The webinar will be presented by the same well known industry expert. By aligning the guide and webinar, both teams were able to reuse a lot of material and spend less time and resources as a whole. The social media manager created a list of interesting stats, facts, and quotes from the existing guide, blogs and webinar. She will share the stats, facts, and quotes on social media with links directing the audience back to the key content. Product marketing works with the content marketing team to build a case study about how your product’s reporting and analytics makes data-based decision making easier. The team also created a sales script around the theme. The guide goes live at the beginning of the month while the webinar will be hosted at the end of the month. The blog series will start being posted at the beginning of the month. When the first blog goes live, your social media manager shares the first fact with a link to the blog post on LinkedIn, Twitter, Google+, and Facebook. The well known industry expert retweets your tweet and shares your LinkedIn post, which spurs record traffic for your blog post. Your blog post has a call to action to download the guide and, likewise, the guide has a call to action to download the case study. When a qualified lead downloads the case study, they get an email and call from a sales rep to discuss their challenges and goals with data-based decision making. The planning involved to coordinate these efforts was as simple as choosing the most important theme of the upcoming month. The cohesive effort was streamlined by each individual reusing work completed by the team as a whole. The effectiveness of the strategy was increased by having a consistent message and consistent calls to action that pulled prospects through each step.